Your credit score tells your financial story. When it comes to life-changing purchases (like buying a home! ), your credit report is looked at closely and plays a significant role in your rate and the type of mortgage you can secure. If you’re unhappy with your current score, don’t panic! Consider the steps below to work towards your ideal credit score. First, find out your current score and overall credit information by obtaining a credit report. 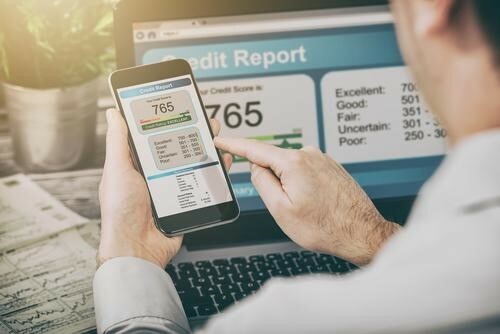 The Fair Credit Reporting Act (FCRA) requires each of the nationwide credit reporting companies—Equifax, Experian, and Transunion—to provide you with a free copy of your credit report once every 12 months. To order yours, go to annualcreditreport.com. Once you’ve obtained your credit report, make sure your information is accurate—about one quarter of people who get declined for a mortgage have inaccuracies in their credit report. If you do notice errors, it’s your responsibility to fix them. The FTC provides step-by-step guidance on how to correct credit reporting errors here. Once you’ve made sure your credit report is accurate, the next step is remedying any behavior that would lower your credit score. Although this may seem obvious, it’s important to pay your bills on time. If you have trouble remembering payment dates, try setting up auto payments or a reminder in your calendar. If it’s a money management issue, perhaps try setting aside money in an account dedicated solely to paying your bills so you don’t run into trouble. If you’re really looking to boost your score, pay more than the minimum payment on your revolving credits each month. When a lender is reviewing your credit report, you want him/her to see that you are in good financial standing. Building your credit takes time. If you are thinking about purchasing a home, it’s imperative that you start making a serious plan to increase your credit score. A poor score can sometimes take several years to remedy—make sure you give yourself enough time to get to where you want to be. At Home Point Financial, we can try to answer any and all financial questions you have about purchasing your home. We foster a culture based on caring, clear communication and innovation. We will help make your dreams of owning a home a reality by being with you every step of the way during the loan process. Contact us today to learn more!